When you set out to apply outdoor lighting it’s highly important to install safe and suitable lights which are robustly built to resist the elements outside, this includes the likes of LED Non-Corrosive Fittings by Robus. 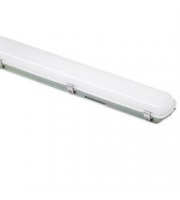 Outdoor and bathroom lights all need to follow safety measures to ensure a safe and secure performance, an IP65 rated light is almost always the best way to guarantee you are doing it correctly. 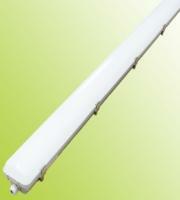 Within our selection of LED non-corrosive fittings you can discover LED tubes varying in wattage. 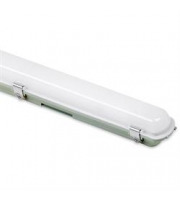 These lighting tubes made by Robus LED group are certain to withstand the rain, wind and snow outside, becoming strong contenders for the perfect type of outdoor lighting. Not only are these durable lights ideal for using outside but the LED lamp gives these models a fantastically long lifespan. 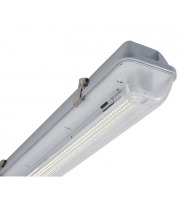 The Robus Vulcan light fittings provide a brilliant number of lamp life hours, helping you reduce maintenance and relamping costs compared to standard bulbs that wouldn’t last as long. Within our selection of Robus Vulcan LEDs you can chose from 24W, 40W, 45W and 75W models, each supplies a brilliant lamp life spanning to 50000 hours. Using such low energy but a high lumen output these Vulcan lights are a real steal. The cool white light beams reflected by the Vulcan lights by Robus makes these fittings adaptable to most situations, more often than not in work and commercial environments where a clean and crisp light is needed. Outdoor lighting needs to be reliable, it also needs to share the ability to be left alone to do a job with minimal maintenance efforts, and the Robus Vulcan range ticks all those boxes. More and more people are turning to the intelligence of LEDs to help run their domestic and commercial lighting, this goes for indoors and out. 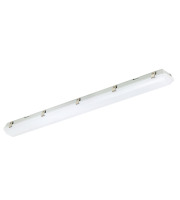 These lengthy and streamline LED lights are fantastically adaptable in terms of size and shape, their slender frame enables easy application in even the most hard to access areas. So if you are looking for an energy saving, adaptable, long lasting and resistant light to install outdoors then these corrosive proof LED Vulcan lights by Robus could be the one for you.